IT outsourcing makes sense in Houston for your small business Customer Service – It’s what we do best! Some may say that the downward spiral was kickstarted by Steve Jobs and Apple, but the truth is: Adobe Flash has been on its way out for some time. Today is just another nail in the coffin. 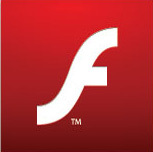 Flash has been bug ridden, and far from unstable since its inception. With the world moving to mobile devices by the millions, the need for flash has diminished even more. Flash was created with the keyboard and mouse in mind… and that is quickly becoming obsolete as more users punch out URL’s with their fingers on iPads, iPhones, Android phones and tablets, and more non-traditional computing devices. Adobe is reaffirming its commitment to “aggressively contribute” to HTML5 due to its broader support than Flash was ever able to deliver. Adobe will of course also be pushing developers to work in its AIR platform for a more native experience, and the company will continue to work on Flash Player for desktop operating systems, but one can’t help but see the platform as a whole standing on fairly shaky footing at this point. Any way you look at it… this is a good thing for developers and surfers alike.